Wonderful colors on a silver base. 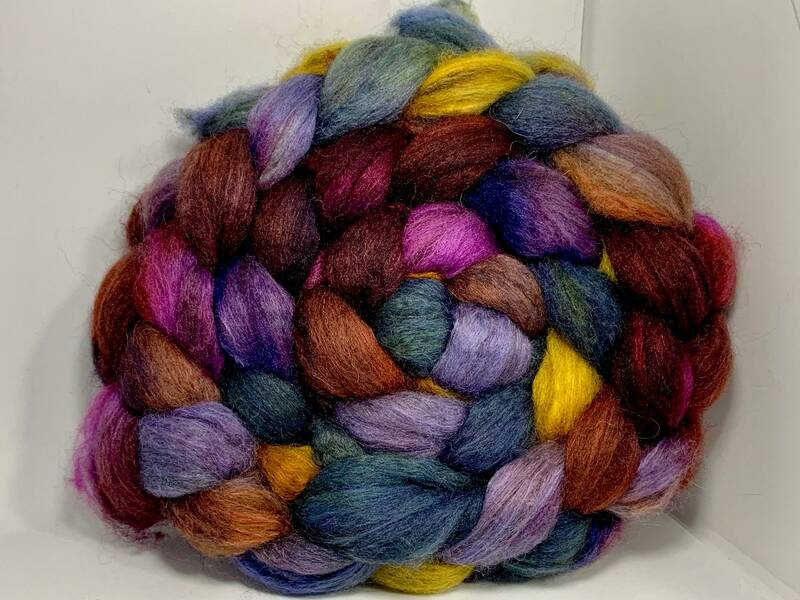 The Fiber and Yarn at Corgi Hill Farm that is hand dyed by me means variations between dye lots done on different days are probable. Please be sure to get enough of each dye lot for your project as future dye lots will be cousins rather than twins.